The health benefits of practicing Tai Chi are becoming better known and better documented every day. However what is not as well known or understood is how Tai Chi and Qi Gong practitioners are able to facilitate healing in others. So here is a bunch of information for energy healers and those who are curious about energy healing. What is Universal Energy Healing & Chi Kung? Can a person affect their own health and well being through mind intent and the manipulation of energy? 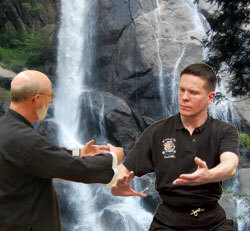 What is Fa Kung Chi Healing? What is the purpose of postures? How do you know you can really Sense/heal/interpret Chi and it is not just your imagination? What is Absorbing & Building Chi? Can Emitting Chi make you sick? How do you heal with Chi? What does it mean to Balance Chi? How can someone get real ability with Chi Healing in a 3 Day program? Master Clear holds Fa Kung Healing certification workshops on a semi-regular basis at the National Headquarters in Maryville, TN.